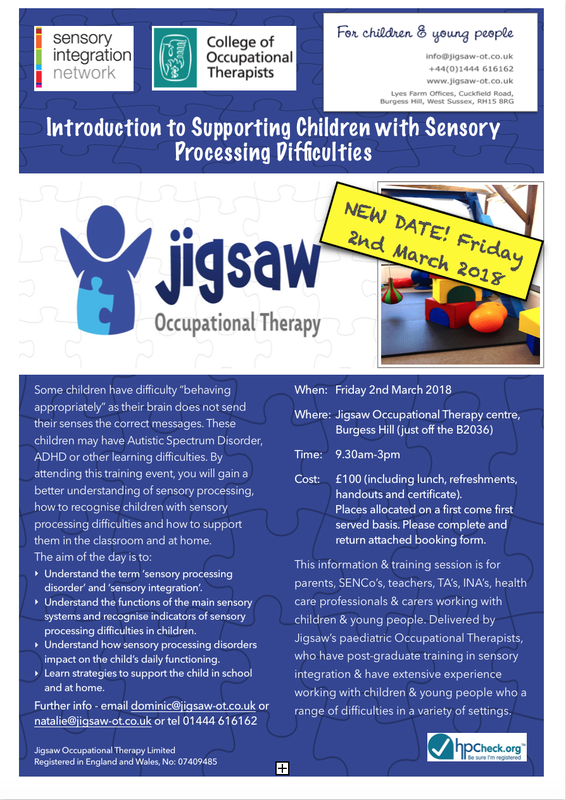 We are conducting a training day at our therapy centre on the Friday 2nd March from 9.30am-3pm, on supporting children with Sensory Processing Difficulties. The training session is for parents, SENCo’s, teachers, TA’s, INA’s, health care professionals and carers working with children and young people. For more information please see our attached flyer, visit http://www.jigsaw-ot.co.uk/news-events or contact me on the details below.